Visual Resources Curator Nancy Shelton was recognized with the College of Arts and Letters “Staff Member of the Year” award for 2011. Nancy was cited for her ongoing management of visual resources for the Art Department and her initiatives bringing our image collection into the digital age. 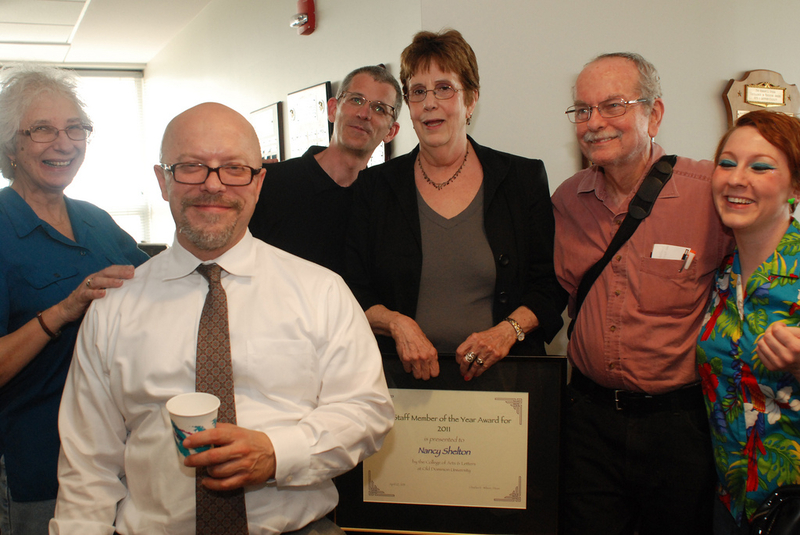 The award was presented at the Dean’s end of semester reception, where Nancy was joined in this photo by professors Linda McGreevy, Robert Wojtowicz, Kenneth FitzGerald, Ken Daley, and Heather Bryant.